How Much Compensation For a Broken Leg? If you have suffered a broken leg in the workplace, in a public place or anywhere else, through no fault of your own, you may be questioning how much compensation you may be entitled to. There is no set fee for this type of injury, however, there are guidelines to give you an idea of how much you are likely to receive. When considering how much compensation for a broken leg you should bear in mind the severity of the injury. While you may not think a broken leg sounds particularly serious, it can have a significant impact on someone’s life. The femur, tibia and fibula are all fairly robust bones existing in the upper and lower leg. Hairline fractures to any of these bones are often not dramatically detrimental. However, if you have a multiple or complex break, or the bone has been broken previously, your recovery is likely to be longer. This can mean 24-hour care is required and the individual may not be able to return to work which could lead to loss of earnings. It is the law that you should be compensated for this if the accident was not your fault. 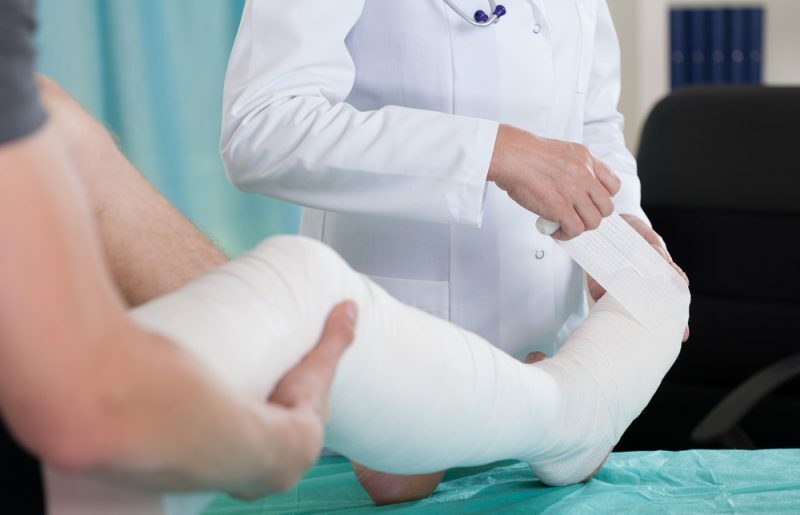 The amount of compensation you could receive for your broken leg is something that is decided by the courts based on previous cases. Other special damages are considered too. These may include expenses paid out for medical aides or transport costs to medical appointments. Less serious leg injury compensation amounts begin at £1,000 and can reach up to £22,130. Your solicitor will examine all the aspects of your claim. They will also refer to their own guidelines and previous cases when calculating how much compensation for a broken leg. This will include the pain suffering and loss you have encountered as a result of your injury. Jefferies Solicitors has been handling broken leg compensation cases for a number of years. There is a strict time limit of 3 years from the date of injury when you can make your claim. Call us on 0800 342 3206 or make a claim online so we can start working with you to get the compensation amount you deserve.